Save our Shores is a environmental agency in Santa Cruz, California, that takes on protecting the Pacific Ocean and the beaches along Monterey Bay. They are advocates for clean oceans and clean shore lines to protect not only the beauty, but the lives of the many sea creatures that live there. Save Our Shores has been an advocate of using reusable grocery bags for quite some time now, and has actively participated with city council members throughout the California region to help initiate that process. After picking up countless plastic bags along the beaches of Monterey Bay, along with other plastic waste, Save Our Shores wants to do all it can to keep the beaches clean and educate people about the hazards of plastic pollution. 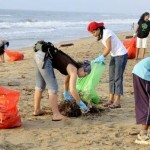 Now, Save Our Shores is ready to begin their Sanctuary Steward volunteer program for 2012. The Sanctuary Steward training course begins in Santa Cruz on February 21, and continues on Tuesday evening through April 10. The course includes presentations from local experts on the ecology of the Monterey Bay National Marine Sanctuary, sustainable fisheries, plastic pollution, clean boating, ocean policy and advocacy. 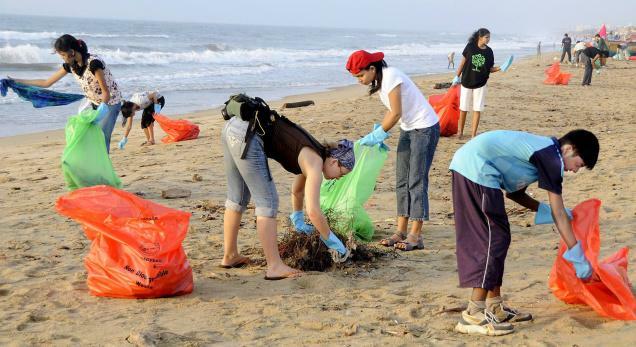 After the training courses, volunteers will take an active lead in the community by getting out to clean up beaches and educate citizens about the importance of recycling. Using eco friendly bags is one way we can all help reduce the amount of waste we contribute to, but there are other habits you can form as well. Try filling up stainless steel water bottles rather than purchasing a new plastic water bottle each time you need water. Plastic bottle caps and cigarette lighters and butts are the two largest contributors to beach pollution with plastic bag waste right behind. If you are interested in getting involved with Save Our Shores, there are other ways you can help. Save Our Shores also accepts donations if you do not live in the Santa Cruz area.